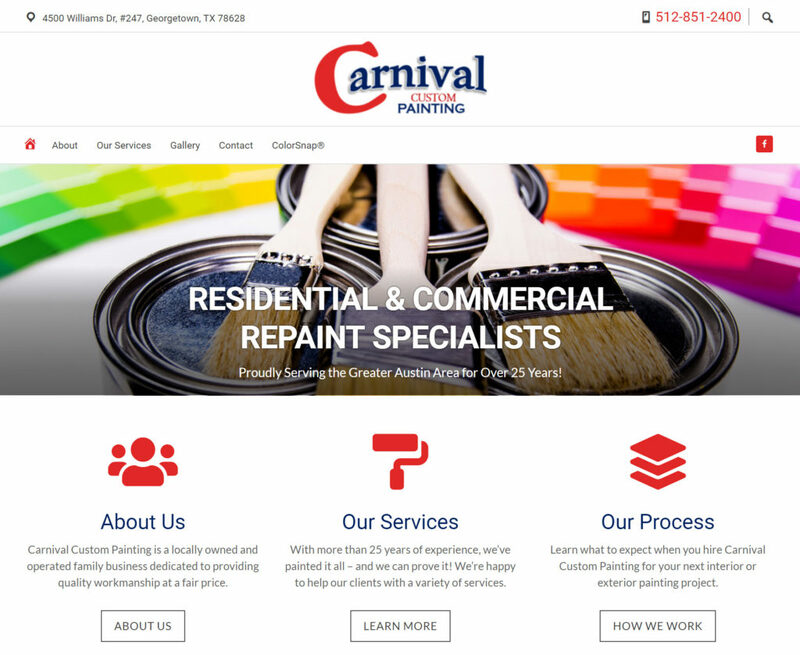 This website was built for Carnival Custom Painting of Georgetown, Texas, using the Flex Pro theme from Simple Pro Themes, built on the Genesis Framework from Studio Press. Carnival needed an updated website that was mobile-responsive, very well optimized, and one that better reflected their brand. We were able to accomplish this for them with the website you see here. Check out the new Carnival Custom Painting website.